Icelandic pioneers began early to wonder how they could take advantage of the natural wonder of geothermal energy given Iceland’s unique location on the plate boundaries of the North American plate and the Eurasian plate. Eggert Ólafsson, poet and naturalist, and Bjarni Pálssson, the Director General of Public Health, were pioneers in geothermal research. They embarked on an investigative journey around the country in 1752 and travelled around Iceland for some six years. Their investigations were the most remarkable research that had been carried out at the time. They described, among other things, hot springs, sulphur mines and mineral springs in many places in Iceland. 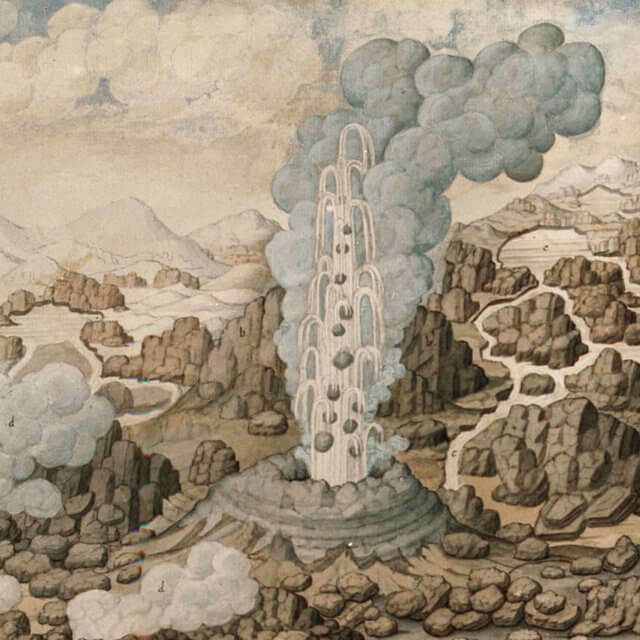 In 1755, Eggert and Bjarni carried out exploratory drilling at Laugarnes in Reykjavík for the purpose of examining the geological layers for sulphur mining. A year later, they made another attempt to drill for sulphur in Krýsuvík. The general utilisation of geothermal energy, however, was not realised until a while later. The first electrical utility in Iceland constructed next to the brook in Hafnarfjörður. Jóhannes Reykdal installed a small hydroelectric plant in the Hamarskot brook in Hafnarfjörður. Icelandic farmers had used hydropower for their own use, but Jóhannes’ plant was the first to produce electricity for distribution into homes in the town. Hafnarfjörður thereby became the first electrically lighted town in Iceland. At the time, the geothermal heat was mostly used for laundry where it was found in low-temperature areas. The geothermal heat was used to heat schools, hospitals, swimming pools and sixty houses in the east part of Reykjavík. The further utilisation of geothermal heat was an obvious step forward, and space heating in Reykjavík led other municipalities to plan to increase space heating with geothermal energy. In 1953, the town council of Keflavík voted to allocate ISK 20,000 for a heating utility study. By 1971, 98% of Reykjavík citizens were connected to a heating utility. 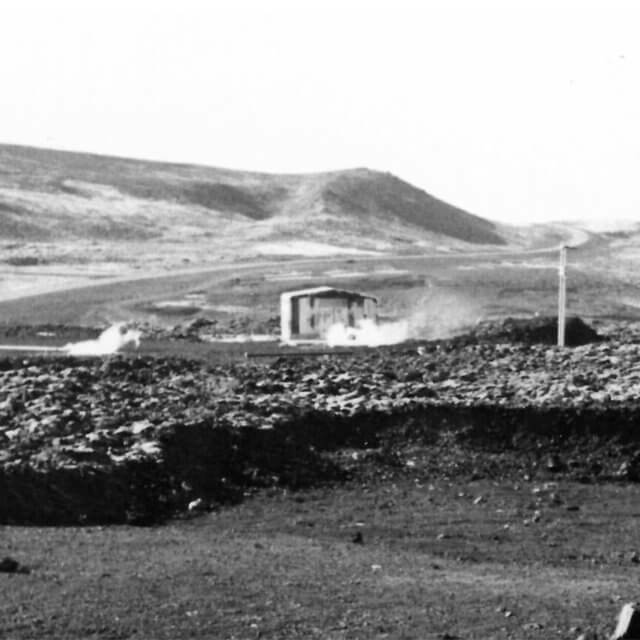 Hitaveita Suðurnesja was established on 31 December 1974, with an act passed by the Alþingi, for the purpose of utilising the geothermal energy in the area for space heating. The first borehole for cold water was drilled in 1975 and a heat exchange pilot plant built in Svartsengi. That same year, Ingólfur Aðalsteinsson was recruited as the company’s first employee and later took over as Managing Director. 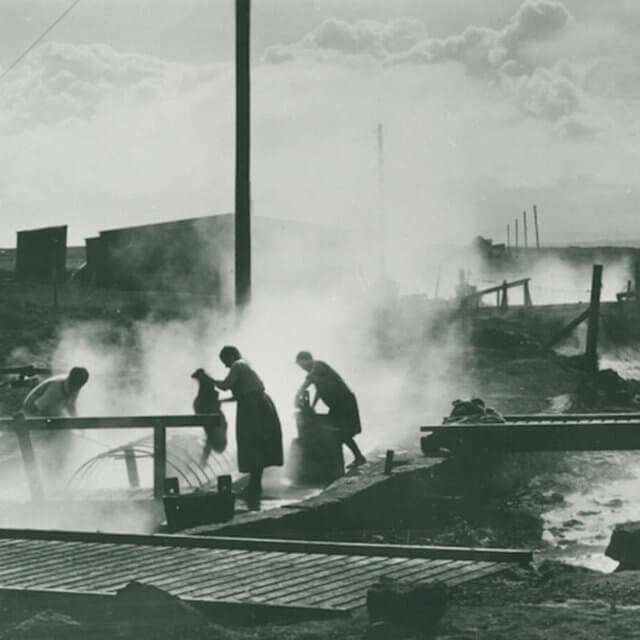 The temporary plant at Svartsengi was started up in 1976, and hot water was piped to the community centre Festi in Grindavík, the first building to receive hot water in the Suðurnes region. Albert Albertsson began working as chief engineer for Hitaveita Suðurnesja in 1977. 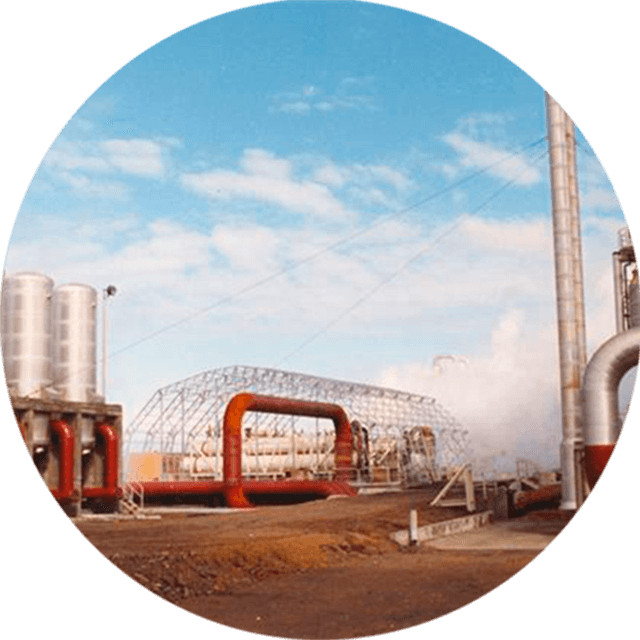 Another important milestone in the company’s history was in 1978 when electricity production from geothermal energy began with the start-up of two 1 MW steam turbines. In conjunction with the operation of Hitaveita Suðurnesja and the harnessing of the geothermal fluid at Svartsengi, a beautiful blue-coloured lagoon formed from the geothermal run-off fluid from the plant. The fluid quickly became a popular place to bathe, as the water was just the right temperature. 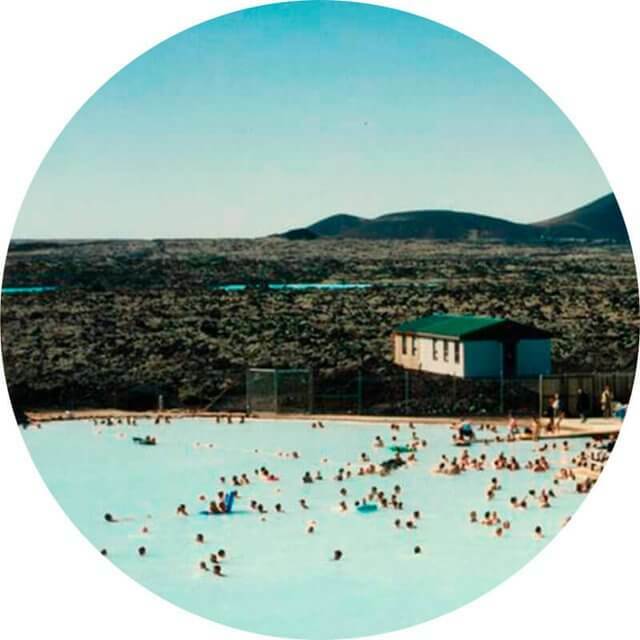 Valur Margeirsson was the first person to realise the positive effects of the geothermal fluid on psoriasis, leading psoriasis patients to increasingly visit the lagoon. This development was completely unforeseen when the lagoon first began to form. Hitaveita Suðurnesja soon realised that the company had to construct temporary facilities for the public. An old morgue was transported from Keflavík and set up for the guests of the lagoon. The morgue replaced a small hut, commonly called the Barnacle hut, which had been constructed by contractors working on the site. The lagoon was soon christened the Blue Lagoon. The popularity of the Blue Lagoon steadily increased, and in 1987, the decision was made to improve the facilities and access to the lagoon by opening bathing facilities for the public. In addition, separate facilities were constructed with the help of the state and the Directorate of Health for psoriasis patients. The hot water and electricity production of Svartsengi steadily increased, and by the end of the decade, the installed capacity at Svartsengi was 11.6 MW. Stockfish is the production name for dried beheaded fish. 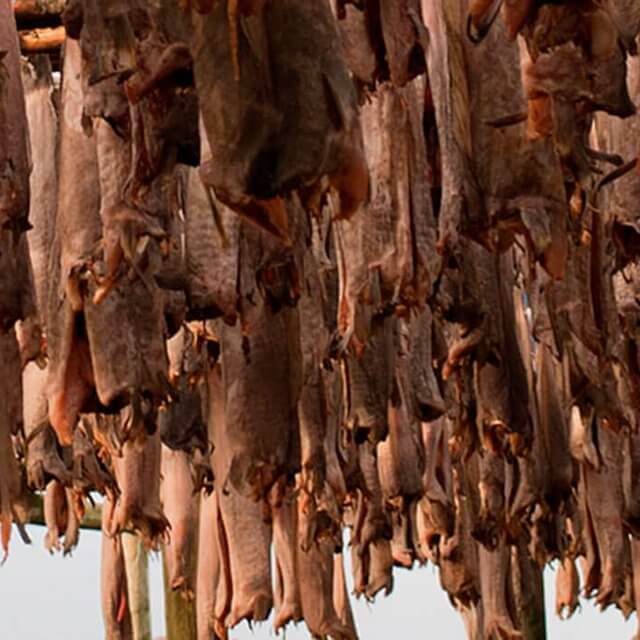 Icelanders have dried fish for centuries, and stockfish used to be a staple in Icelanders’ diet as well as being used for bartering and as export goods. All stockfish produced during the last century has been for export. Fish drying structures can be seen in many locations on the Reykjanes peninsula. The use of geothermal energy to dry fish products began in 1990. The Icelandic state had drilled several test boreholes in Reykjanes for the purpose of exploring the feasibility of harnessing the geothermal energy in the area. Hitaveita Suðurnesja subsequently took the area over and constructed a power plant. With increased utilisation of the geothermal heat around Hitaveita Suðurnesja’s power plant, a clearer picture for the creation of the Resource Park was formed. The multiple utilisation concept and its possibility of encouraging sustainable development in the community began to become increasingly clear in the mind of Albert Albertsson. At present, there are two companies in Reykjanes that specialise in drying fish products by using the geothermal energy from HS Orka’s geothermal plant. Bláa Lónið hf. was established in 1992 and has since then systematically worked on creating value from the geothermal fluid natural resource. The popularity of the Blue Lagoon has increased over the past few years, and its fame has spread far and wide. National Geographic has called the lagoon the geothermal gift of nature. By the end of 1999, the electricity production at Svartsengi was around 50 MW. Electricity production began in a 100 MW geothermal plant in Reykjanes. The new geothermal plant opened up considerable opportunities to expand the Resource Park and more than doubled the company’s energy and electricity capacity. The 30 MW enlargement of Svartsengi began formally that same year with the construction of the 6th stage of the geothermal plant. ORF Genetics performed the first bioassay of a growth factor produced in barley. This laid the foundation for the operation of the company. The Icelandic government announced its decision to sell its shareholding in HS hf. HS Orka’s electricity production was around 145 MW at the end of the year. The name of Hitaveita Suðurnesja was changed to HS Orka during the year and a new company, HS Veitur, created to handle the operation of distribution systems. The changes to the operating form of energy companies, i.e. the separation of the competitive operation and concession operation into two separate companies with independent boards, was established with Act No. 58 from 7 June 2008. The 30 MW electricity plant 6 was started up on 3 April. This meant that the installed capacity of HS Orka’s geothermal plants had reached 175 MW. The companies in the Park represent considerable development and growth opportunities based on their experience, research and development of processes and new products. More companies, of a different nature than the current ones, are expected to seek membership in the Park and thereby strengthen it. It is important that the Resource Park’s image is transparent and clear and that the companies within it, and those who join, work in harmony. If account is taken of only the production increase in the companies currently within the Resource Park, it is clear that there are considerable opportunities for the Park’s growth. The companies have already made plans for further construction and investment. An increase in the number of companies is anticipated, with new and more diverse utilisation of the resource streams. Although only a certain number of resource streams come from the geothermal plants, which each have a maximum capacity, the resource park concept as such has no limits. Accessible streams are determined by the type and power of the geothermal plants each time. The resource streams, however, do not come only from the geothermal plants, they can also flow from one company to another.